Part three of our series on hiring a plumber explores what to look for in an emergency situation. One of the things that is inevitable in plumbing is a plumbing emergency. You know the type, where something breaks, and you hear the sound of water running, or worse, see a puddle on the floor of your kitchen or bathroom or worse a pool of water. Plumbing, while durable on the whole, can break due to factors such as age and metal fatigue. When that happens, you need to know a few things to avoid a crisis. First off, turn off the water main to your home. You can usually find this located in the front yard of your house, attached to the pipe that is your main water spigot. It usually is either a lever or an extra wheel. Turn it all the way off. 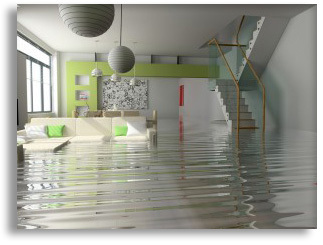 As your pipes in your home are under pressure, if you relieve the water pressure, you stop the flood of water. Next, you want to get the excess water off your floor immediately. The longer water stands, the more likely it is to cause water damage. Once you’re calm and you’ve got the leak stopped, if you haven’t already done so, you want to look for a plumber. As to what you look for, look for how long they’ve been in business, whether they offer emergency plumbing service in Tampa, and whether they can get to you fast. This concludes part three of our series on hiring a plumber. For more information, be sure to read part one and part two as well.